Oxidative stress and damage in cells is associated with the development of cancer, Alzheimer‘s disease, atherosclerosis, autism, infections, and Parkinson‘s disease. Reactive Oxygen Species (ROSs) are the main cause of oxidative stress and damage in cells, causing damage to proteins, lipids, and DNA. As existing therapies for such diseases can be ineffective, there is a need for the development of novel drugs based on new targets. The major reason to measure ROS and Reactive Nitrogen Species (RNS) in biological systems is to determine whether they play a role in physiological or pathophysiological processes. Detection and characterization of radicals in biological materials is most commonly done using EPR (electron paramagnetic resonance) methodology. 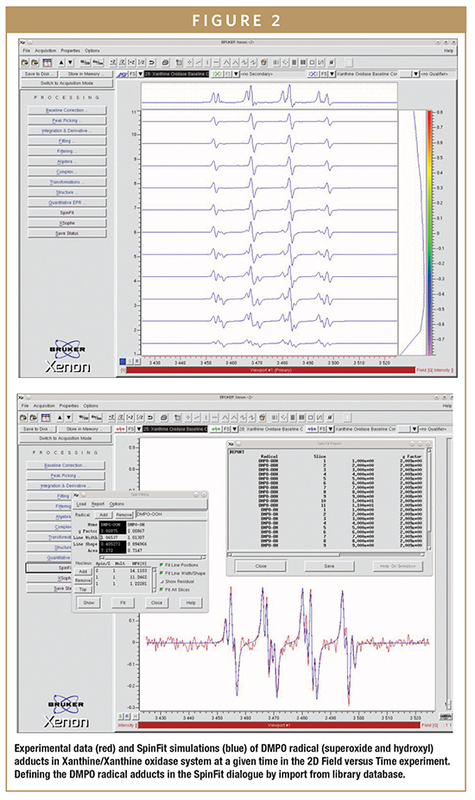 EPR spectroscopy applications span across a wide range of areas from quality control to molecular research in fields such as material research, structural biology, and quantum physics. Most of the biologically relevant radicals are very short lived and, therefore, impossible to detect in biological samples. For this reason, compounds (spin traps and spin probes) have been used that form stable adducts with radicals (Figure 1). Unfortunately, quite often the spin traps have low reactivity with ROS, and the formed radical adducts are very susceptible to bio reduction when exposed to cells or tissues that converts them to EPR silent species. In this article, we determine the challenges associated with ROS detection and highlight three examples of how EPR can be used to understand the free-radical process. 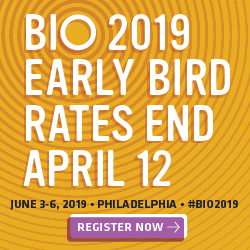 Additionally, it will demonstrate how the latest digital and microwave technologies in benchtop EPR instrumentation is giving researchers new insight into ROS and free radicals that may shape the future development of more effective treatments of disease. WHY IS STUDYING ROS IMPORTANT? Direct detection of ROS and RNS is very difficult or impossible in solution at room temperature due to their very short half-lives. EPR is the only method for the direct detection of paramagnetic species. EPR experiments have provided invaluable information pertaining to metallo-protein structures and to the structures and processes in photosynthesis. In biology, EPR can be applied to the study of membrane proteins, metallo-enzymes, IDPs, RNA, DNA, spin labelling/trapping, nitric oxides, and ROS & RNS. Overcoming the identification of ROS is a key driver for the development of effective treatments of disease. No matter what the focus of the application is, the crucial required strengths of an EPR spectrometer are sensitivity and stability. Innovations in magnet and microwave technology helps to deliver enhanced performance, addressing the needs of researchers for both ease of use with high-quality EPR data. EPR is used for both static and dynamic investigations of materials, chemicals, and biological systems, including molecular radical structures and formation. EPR is advantageous for dynamic measurements as an EPR spectrum can be measured while applying changes in conditions, such as temperature or light irradiation. 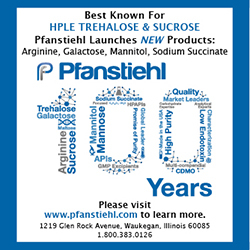 Applications include polymer synthesis, testing the purity of silicon in solar cells, spin trapping to assess the oxidative stability of flavors, and the analysis of metallo-proteins. In electrochemistry, redox chemistry, photochemistry, and catalysis, EPR can be used to study metal centers and radicals involved in chemical processes. New applications have revived interest in EPR as an analytical tool for chemistry, materials science, and biology, where scientists and researchers have uncovered the benefits of utilizing newer compact, yet high-performance EPR benchtop instruments. Benchtop EPR spectrometers can be used to analyze many EPR samples, including transition metals, antioxidants, and free radicals, providing valuable information and insights into biological and chemical systems. 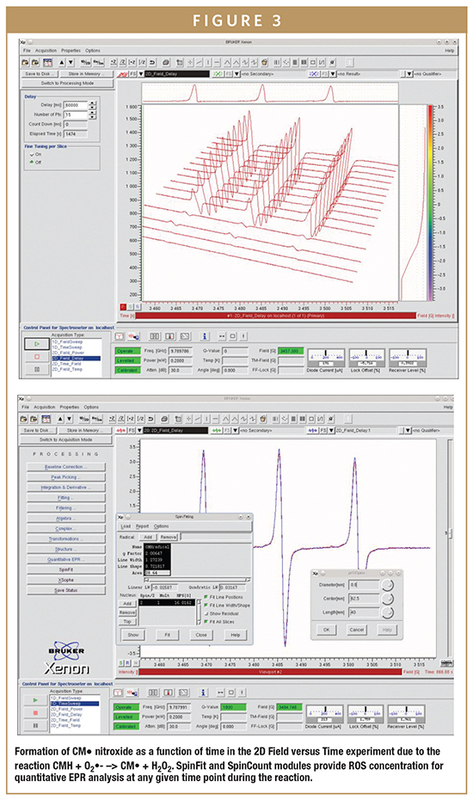 Newer benchtop instruments, such as the EMXnano from Bruker, benefits from an integrated novel, permanent magnet and an efficient new microwave resonator to deliver sensitivity and stability in a benchtop EPR system, making it suitable for a wide range of analyses, teaching applications, as well as for quantitative EPR with the inclusion of a spin counting module. New-generation magnet systems and efficient microwave resonators enable accurate results and superior sensitivity in benchtop form. This enables research, teaching, or process applications to benefit from EPR spin trapping spectroscopy. It also enables researchers and students with limited EPR experience to use the power of EPR spin trapping spectroscopy to identify and quantify free radicals in biological systems (proteins, blood, tissues, cells, etc). The following applications demonstrate how EPR spectroscopy (also known as electron spin resonance, ESR, spectroscopy) can be utilized for the detection and characterization of radicals in biological systems. As discussed, direct detection of ROS and RNS is very difficult or impossible in solution at room temperature due to their very short half-lives. Two leading ROS are radicals such as the superoxide radical (O2•–) and the hydroxyl radical (•OH) as shown here in the Xanthine/Xanthine oxidase system (Figure 2), where their generation and decomposition can be accurately followed with quantitative EPR. EPR spin trapping is a technique developed in the late 1960s in which a nitrone or nitroso compound reacts with a target free radical to form a stable and distinguishable free radical that is detected by EPR spectroscopy. The spin trapping reaction involves the addition of the reactive free radical to the double bond of a diamagnetic “spin trap” to form a much more stable free radical, which can then be examined with EPR. This “radical adduct” has spectral features that allow easy identification of the reactive radical originally generated. In vascular cells, increased generation of superoxide (O2•–) has been suggested to occur in hypertension, diabetes, and heart failure. Thus, the accurate detection and ability to quantify O2•– are critically important in understanding the pathogenesis of these various cardiovascular disorders and other non-cardiovascular diseases. However, direct detection of ROS and RNS is very difficult or impossible in solution at room temperature due to their very short half-lives. As shown in Figure 3, the generation of superoxide over time can be easily monitored with a benchtop EPR spectrometer. 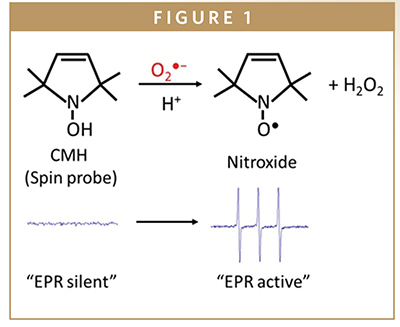 Spin probes are not spin traps, in that they do not “trap” radicals, but they are oxidized to form nitroxides (free radicals) with a half-life of several hours, which can readily be detected by EPR (Figure 1). For example, the cyclic hydroxylamine 1-hydroxy- 3-methoxycarbonyl-2,2,5,5-tetramethylpyrrolidine (CMH) can provide quantitative measurements of superoxide (O2•–) with high sensitivity and it has been used for detection of intracellular O2•– in cultured cells and tissue samples. Bench-top EPR spectrometers can be used effectively for mechanistic studies and kinetic analysis of multiple radicals (ROS and RNS) generated in enzyme reactions. Properly controlled spin probe experiments can verify that the formation of radical adducts is due to free radical production in the reaction system being studied. Human skin contains photolabile nitric oxide (NO) derivatives, which upon UVA radiation, decompose under high-output NO formation and exert NO-specific biological responses, such as increased local blood flow or reduced blood pressure. The intradermal increase of free NO due to blue light irradiation of human skin can be monitored and quantified using EPR. Nitric Oxide (NO) is a highly reactive regulatory molecule which has many important physiological roles, such as a neurotransmitter in the central nervous system, a regulator of vasomotor tone in the cardiovascular system, and a cytotoxic mediator of the immune system. NO is a free radical, and its short half-life (< 30 sec) has rendered direct measurement difficult. The instability of NO can be overcome by using a NO-trapping technique, in which a more stable complex is formed and subsequently detected by EPR. For example, the oxidation of nitric oxide (NO) to nitrate by oxyhemoglobin (oxyHb) is a fundamental reaction in NO biology and binding of NO to the heme can be characterized by EPR. EPR provides the means to detect NO by both room temperature and low temperature techniques with high sensitivity. With accessories for room temperature and low temperature measurements, detection of NO with MGD (N-methyl-D-glucamine dithiocarbamate) or hemoglobin as a spin trap is easy to achieve. Benchtop EPR spectrometers have been designed with users in mind, who require research performance and ease of use. A benchtop instrument provides many features typically found only on sophisticated, floor-standing EPR instruments, making research-grade EPR capabilities accessible to a broader range of scientists. Benchtop instruments often include defined workflows for easy and fast system setup, with user-friendly interfaces that allows parameters to be easily adjusted also by non-EPR experts. As the global demand for novel cures for illnesses continues to rise – driven largely by the high mortality rates and increased healthcare costs associated with diseases – researchers are focusing their studies on the disease dynamics. EPR is at the forefront of the revolution, widely considered to be the “gold standard” for the detection and characterization of radicals in biological systems. The positive aspects of EPR spectroscopy and associated methodologies can be used to maximize useful information, and minimize artefacts, when used in biological studies. This technique can provide a wealth of valuable information on the presence of radicals and some transition metal ions in biological systems. It can provide definitive information on the identity of the species present and also information on their concentration, structure, mobility, and interactions. The technique is already being used to inform research in a number of clinical areas, most significantly in disease research fields such as cancer, Alzheimer’s disease, atherosclerosis, autism, infections, and Parkinson‘s disease. EPR remains a definitive method of identifying radicals in complex systems and is also a valuable method of examining radical kinetics, concentrations and structure. Looking forward, these innovations will surely put more powerful data into the hands of researchers, further accelerating the development of drugs and informing clinical practice. 1. Rouaud F, et al. Regulation of NADPHdependent nitric oxide and reactive oxygen species signalling in endothelial and melanoma cells by a photoactive NADPH analogue. Oncotarget. 2014;5(21):10650-10664. 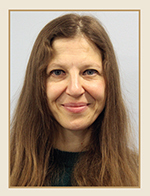 Dr. Kalina Ranguelova is an EPR Applications Scientist in Bruker BioSpin Corporation since 2011. She earned her PhD at The Bulgarian Academy of Sciences, where she focused her research on inorganic copper complexes structure using electron paramagnetic resonance (EPR) spectroscopy. After two research positions at CUNY and NIH, where she studied free radical biology and EPR spin trapping as method for measurement of reactive oxygen species (ROS), she joined Bruker and holds a role as Applications Scientist. Her current focus is detection and identification of free radicals in biological systems and pharmaceuticals using spin traps and spin probes. She has publications in journals, including Journal of Biological Chemistry, Biochemistry, Free Radical Biology and Medicine, etc., and has presented in many international meetings related to free radical research in biology and protein chemistry.